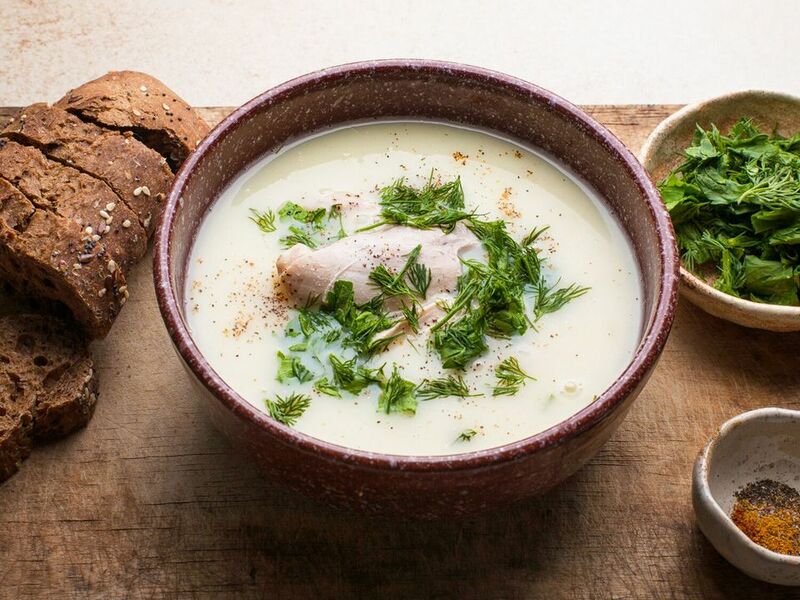 Chicken soup avgolemono is perhaps the most iconic of all Greek soups. It is on the menu at every Greek restaurant or diner, and you’ll find it as the first course at most Greek holiday celebrations. Egg acts as a thickener to this chicken soup with orzo which is brightened with the addition of lemon zest and juice. Add the chicken, water, carrots, celery stalks, onion, bay leaves, black peppercorns, and salt to a large stockpot. Bring to a rapid boil, lower the heat to medium-low and simmer partially covered for approximately an hour to an hour and a half. While the pasta is cooking, prepare the egg-lemon mixture. Using a whisk, beat the eggs until nice and frothy in a bowl. Add the lemon zest and the lemon juice in a steady stream while continuing to whisk. When the pasta has finished cooking, turn off the heat. Ladle about 2 cups of broth into a bowl or large measuring cup. Slowly add the hot broth to the egg-lemon mixture while continuing to whisk. This will temper the eggs and prevent them from curdling once they are added to the hot broth.